James Gunn is to direct and write the third 'Guardians of the Galaxy' film. 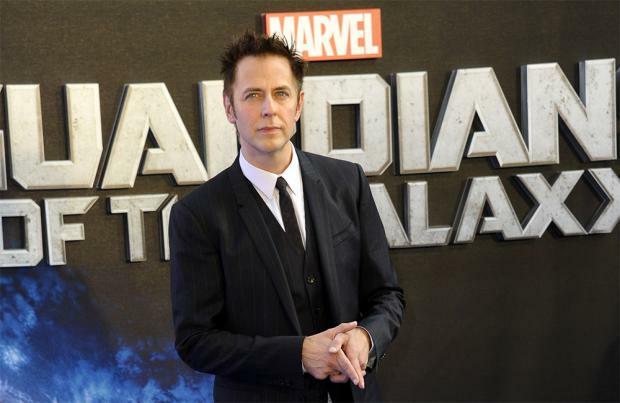 The 46-year-old filmmaker announced his decision on Facebook on Monday evening (17.04.17) to reprise his role for the next instalment of the Marvel science-fiction blockbuster after several discussions and meetings, despite 'Guardians of the Galaxy Vol. 2' not even being in cinemas yet. He wrote on his page on the social media site: "So, after many months of ruminations and discussions, I know the answer. I could save this answer for the first, random interviewer to ask me during the press junket but instead I thought I'd share it with the most important people in the Guardiansverse - you, the fans, who have been so incredibly supportive and enthusiastic over the past five years, it has moved me to tears on a regular basis. So, yes, I'm returning to write and direct Guardians of the Galaxy Vol. 3. (sic)"
Meanwhile, Gunn previously revealed the second film - which stars Chris Pratt, Zoe Saldana and Kurt Russell - won't feature the colour purple as he banned it. The screenwriter and director wanted it to be very visual but deliberately tried to stay away from particular hues he felt had been used a lot in his original movie in order to give the new film a style of its own. He explained: "I wanted to make the second movie have a very distinct visual look that was much different than the first movie. "One of the first things I did was ban the use of the colour purple. "There's purple in the movie, but there's very little purple in the movie. Because purple was by far the dominant colour in the first movie. "This movie is more about yellow and blue and teal and orange. "But I also really wanted to up the ante with the pulp elements. "So we harken back a lot to 1950s/60s pulp novel colours and that look of 'Flash Gordon' - both the 1980s version and the earlier comics. Really grabbing onto this pulp feeling an bringing it alive in a bright, big, colourful way was important."